Are you an aspiring entrepreneur or established business owner looking to take your new business from start-up to massive success? After dealing with multiple seven-figure business partners and mentors, Elijah wanted to give back the wealth of knowledge he learned and share the struggles he overcame. 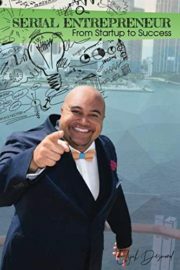 In this book, you’ll discover the success you have to look forward to as an entrepreneur and also how to achieve success in life. There are three forms of success that affect business, finances, family, and health. Each of these is vitally important in life. You will discover through this book all the definitions of success, and Elijah shares his best practices to help you define your own personal version of success.